Air conditioning issues are not always revealed by a noisy AC unit or noticeable changes in the cooling power, in fact, they seem to always sneak up on you at the worst time. Some problems may be signs that you need an air conditioner replacement, while others can be fixed with professional repairs. Nonetheless, when these issues occur, it can cause your AC system to be less efficient, resulting in higher energy bills. Luckily, in this post, we are going to look at three common AC problems that cripple energy efficiency. 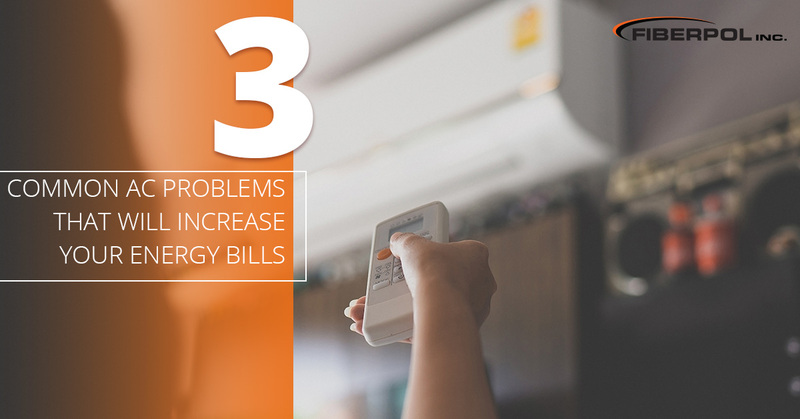 By looking out for these issues, you may be able to prevent your bills from skyrocketing. After years of use, the components in your air conditioning system will begin to experience some natural wear and tear. However, it is possible for some parts and components to wear faster than others due to differing conditions. Even with these worn and damaged components, your system will still run, but will likely have more difficulty reaching the desired temperature, therefore being less energy efficient. Short cycling is the nuisance of energy efficiency, and it’s more common than most people tend to realize. Short cycling occurs when the system spends most of its runtime in its startup phase, which uses the most energy. Many issues can cause short cycling, but one of the most common is an air conditioning system that hasn’t been properly sized for the needs of the home. An extra-large system will cool the home so quickly that it will shut down before it completes its cycle, increasing strain on the system, draining energy efficiency, and leaving your home with higher humidity. Speaking of humidity, if you’re not properly maintaining moisture in your home, your system may be struggling to make up the difference. If your air conditioning system is working efficiently, it will eliminate the proper amount of heat and moisture from the area, resulting in the comfortable environment you want. Too much humidity, like in Barbados, will make your home more difficult to cool and your cooling system less efficient. Don’t let these issues affect your energy bills! If you are experiencing these issues, it’s time for an upgrade. Instead of a traditional unit, consider getting an inverter, or ductless, air conditioning system. 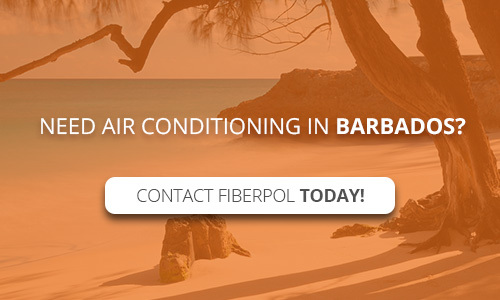 At FiberPol, we carry one of the most energy efficient inverter air conditioners for your home! To learn more, contact us!